Terrace bar-restaurant, swimming pool, massage. Free wi-fi. The Villa Santi Hotel was established in 1992 in a royal residence, which belongs to a royal princess of Luang Prabang. 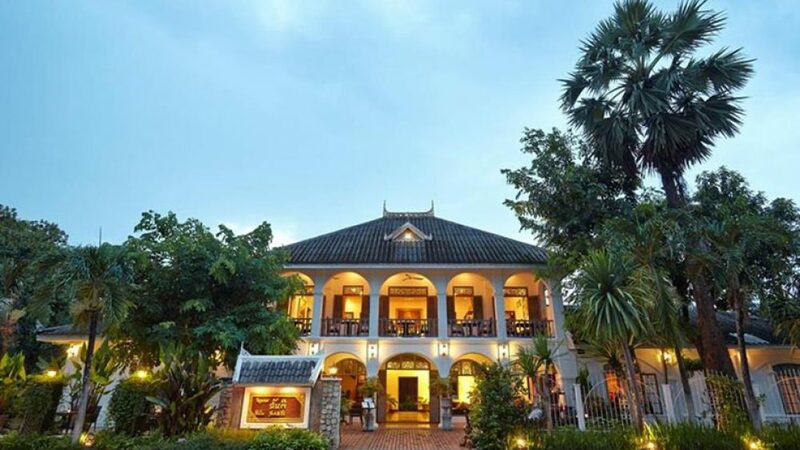 Recognized by many international travelers and distinguished guests as the country’s most charming boutique hotel, the Villa Santi is located in the heart of Luang Prabang. This was the first luxury hotel to open its doors in Luang Prabang and remains a name synonymous with comfort and class. The suites are recommended over the rooms for their sense of space. The restaurant and bar are fine places to sit and watch Luang Prabang life go by.